Server OS and Desktop OS has differences. The same Operating System like Ubuntu is different on Server and on Desktop. Lets see Server OS and Desktop OS closely. This is itself not only a question, but also an answer to another question. If you read any of our guide where we have installed an OS on a Server, like Installing OpenPanel on Rackspace Cloud Server, you might think why we are not using some easy graphical user interface, but a complex command line interface to install the softwares ? Where the usual desktop of a computer gone ? Its gone no where, it is actually present in rudimentary form and can be evoked up with commands. This is a visible difference between Server OS and Desktop OS. Desktop OS is actually installed on a Client Platform. The basic usages of a typical desktop is to run client applications like Office related Applications, Web Browser, Playing a Video and using various hardware features like using the USB ports, Bluetooth etc. Where as in case of Server OS, our main need is to make it working for 24×7 as a typical server or some server like roles. We need to make it working with various domains. 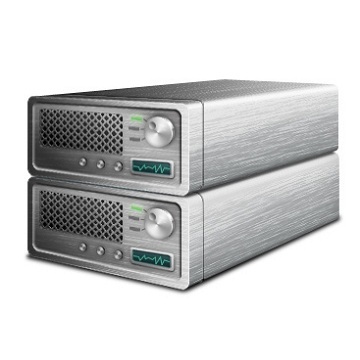 A Server OS should provide the best from the processor and Memory. It is now clear to you from the above paragraph that a typical Server OS needs to be tailored for usage on a Server. It is not really the fact, that is often said, that Server OS is an upgraded version of Desktop OS. Server OS basically can not compared in that way with Desktop OS. The needs are different. Your Desktop OS can run Adobe Photoshop very smoothly, but a Server OS with 4 times or more RAM and processing power can not run it. On the other hand, Server OS is optimized for network related applications, it can basically support unlimited user connections. Server OS by default gives a remote administration starting from its installation, if you install WordPress on Server OS, it is not possible to access the folders or directories from the browser. In technical terminology, Server OS is optimized for running the backend services like DHCP, DNS etc. which are main need for being a Server. This Article Has Been Shared 325 Times! Cite this article as: Abhishek Ghosh, "Server OS and Desktop OS : Prominent Differences," in The Customize Windows, July 20, 2012, April 21, 2019, https://thecustomizewindows.com/2012/07/server-os-and-desktop-os-prominent-differences/.